14 meeting rooms to choose from ranging in size: to cater for smaller meetings for up to 30, to rooms with a maximum capacity of 280. Complimentary stationery, LCD projectors, screen and flip charts.Situated in grounds that are ideal for team building days, summer events and weddings. The purpose-built conference centre brings the best 21st century business facilities to a 17th century setting.To help you create a unique event tailored to your needs and budget, a dedicated Conference and Banqueting team will be on hand. Then, on the day of your event, a dedicated Meeting Host will be available at all times to ensure your day runs smoothly. Kick Start 2019 with our fantastic Delegate offer. 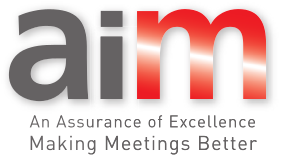 Day Delegate Packages from as little as £36.00 per delegate. All offers subject to availability during January, February and March. Valid on new bookings, terms and conditions apply. Additional equipment and support can be arranged via our preferred local AV supplier, ask your co-ordinator for more information.